It's been ages since the last time I updated this blog. I was preoccupied with so many stuff at school and my own personal affairs. By the way, have you noticed the changes in this blog? Its original title of "swirling cultures" was changed to "Land Drifter." The template design was changed, too. Why? Well, I just found the former title more appealing and the design a lot nicer. To kickstart the drive for more travel posts, allow me to tell you what I know about Baan Suan Chezpom in Thung Saliam, Sukhothai. I was invited as a trainer two years ago at a teachers' conference in Thung Saliam district in Sukhothai. 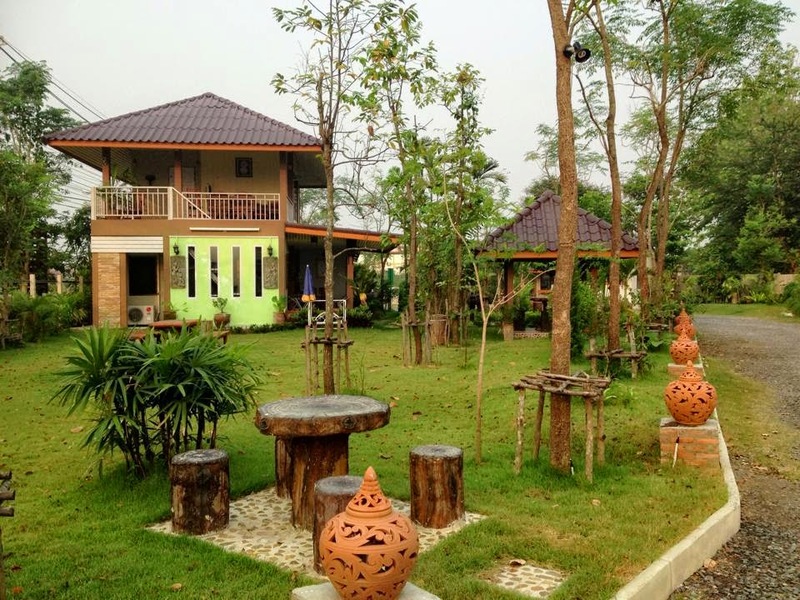 We left Phitsanulok a little past 6 am and we arrived at Baan Suan Chepom after about two hours. 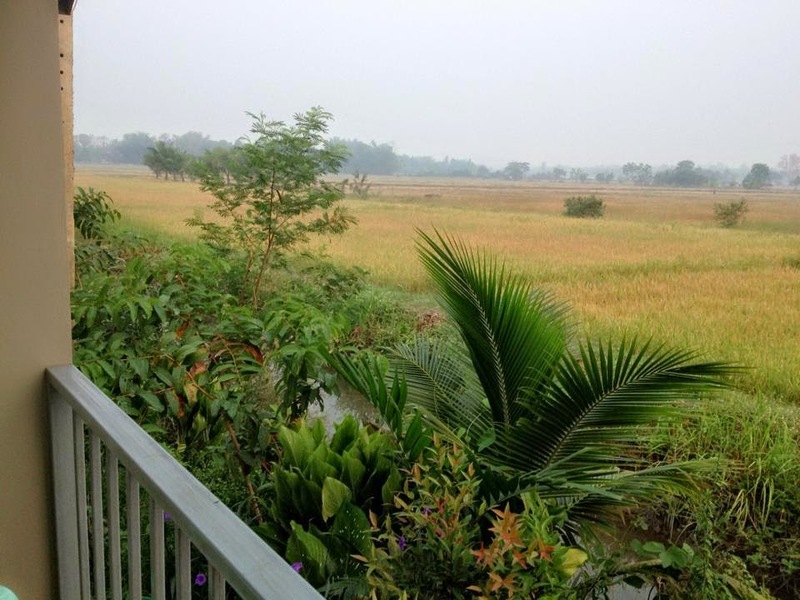 The view was amazing, passing what seemed to be an endless greenery of rice fields on both sides of the road. Upon arriving, my eyes feasted to the nicely decorated landscape and the cuteness of the bungalows before me. There weren't a lot, probably less than 10. And since I was told that we would stay there for three days I was like, "this is the place.Yahoo!" We waited for the organizer and she arrived a little less than 10 minutes. Not much of a formality happened, just a simple "good morning" and a little talk with my Thai colleague and she was once again out of our sight. The receptionist later reappeared out of nowhere and handed us both the keys. At first I thought me and my colleague will be staying together in one bungalow. But to my happiness, I was given my own key. I immediately got inside and savor the short moment alone in this amazing place. After a 15-minute rest, off we went to the conference. Anyway, Baan Suan Chezpom is located 7 km from Wat Thungsaliam Luangpor-Sila. 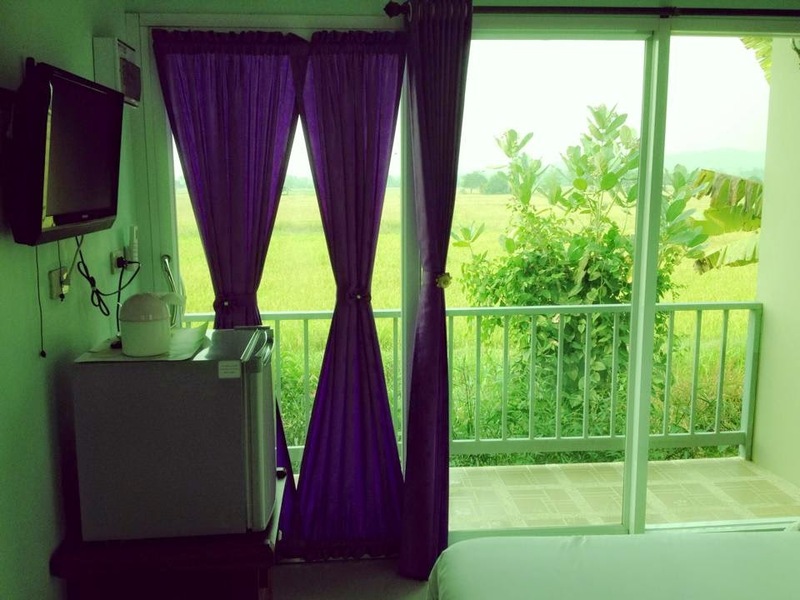 It offers bungalows with balcony about a stone's throw away from the rice fields. What do you expect in a little remote district? It offers free Wi-Fi but a bit slow at the time. Hoping it's now been fixed. 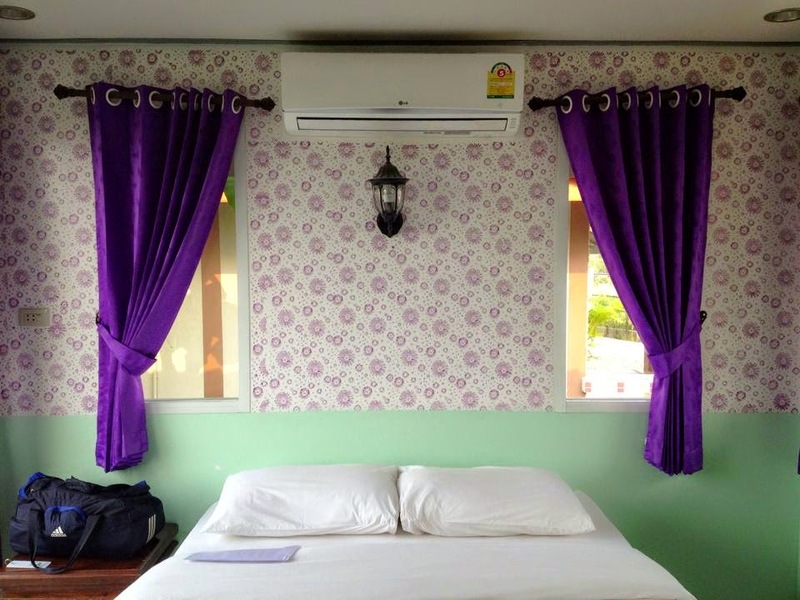 It is about 15 km from Chaoram Cave and features a shuttle service and meeting facilities. Free public parking is possible on site. 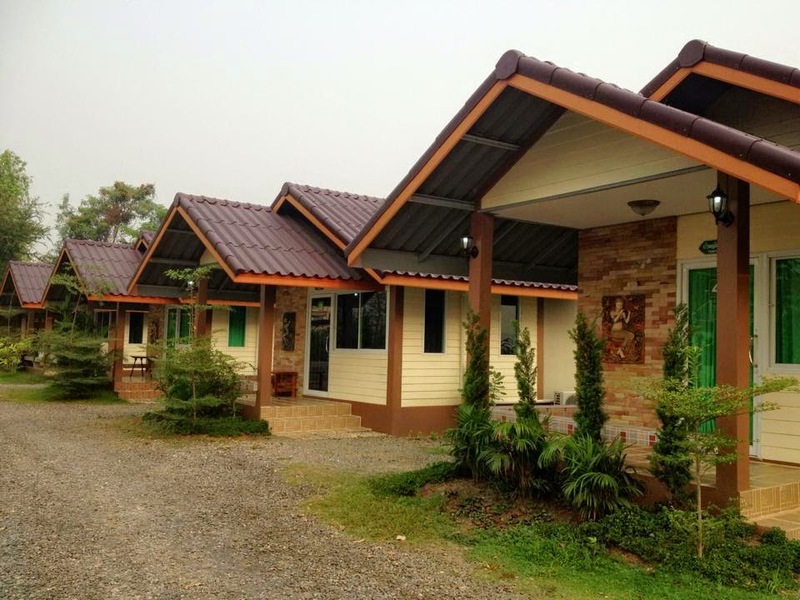 Bungalows are fitted with air-conditioning, flat-screen cable TV and refrigerator. Shower facilities are included in an en suite bathroom. Guests can enjoy Thai food all day at the on-site restaurant. It looks so classy but do you know how much the room per night is? Just a mere 500 baht. It's comfy and elegant-looking yet won't hurt your pocket. Been there a few years ago. It was a lot of fun. Very comfortable and indeed blessed with a nice view.